These shrimp are simple, succulent and scrumptious! 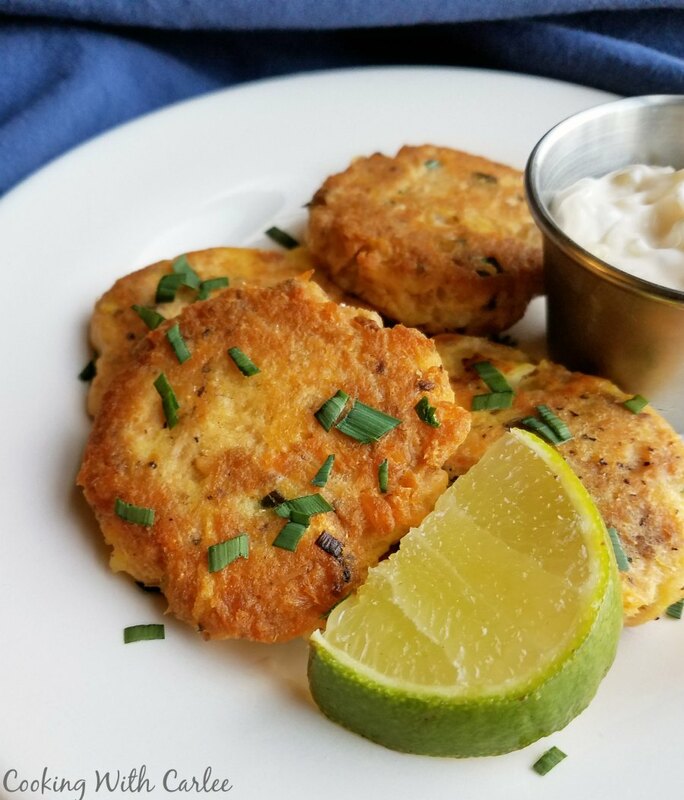 A little white wine, butter and lemon come together to make them full of flavor. We already had a fire going for the campfire french toast breakfast we hosted for Father's Day. So, giving him something to grill that evening gave him an excuse to babysit the fire all day long. He didn't complain. When I told him we were throwing some shrimp on the grill, he was happy to oblige. Shrimp is up there among his favorite foods. He likes them better than lobster. The only thing that might give shrimp a run for his money is a plate sized T-Bone. I was tempted by the steak for Father's Day, but decided after a big breakfast shrimp might be a better way to go. My initial instinct was to skewer them, but I honestly didn't feel like going through the hassle. 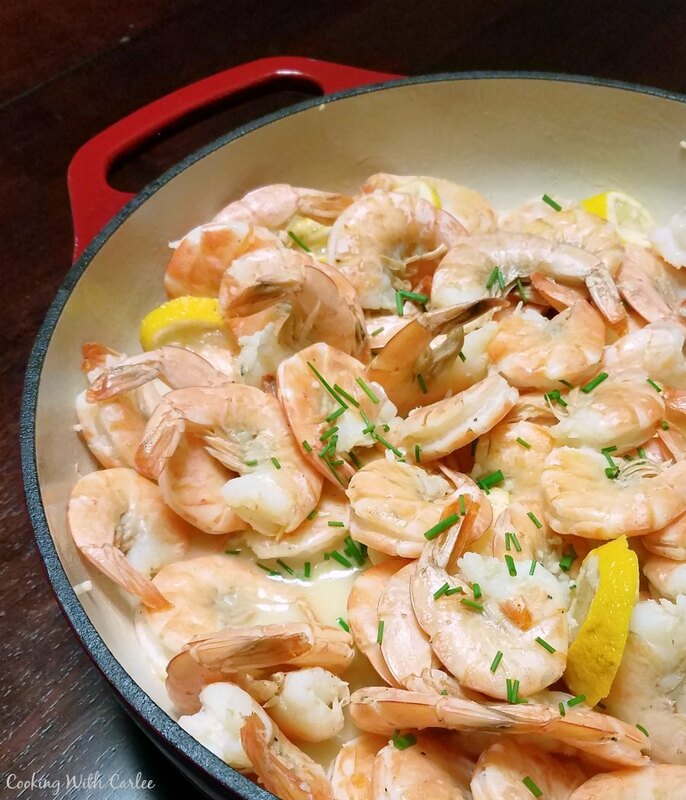 So, I lugged out the cast iron skillet, made a simple (and lip smackingly good) sauce and cooked the shrimp right in there. It was DELICIOUS if I do say so myself. We could eat a variation on this weekly and both be quite happy! We did cook it over the fire that day, but have made it on the stove many times as well. It is just as delicious either way. Break up a baguette and throw together a quick veggie and dinner is served in the blink of an eye. Or you could add a bit more of the sauce ingredients and toss with pasta. Oooooh, that sounds good! 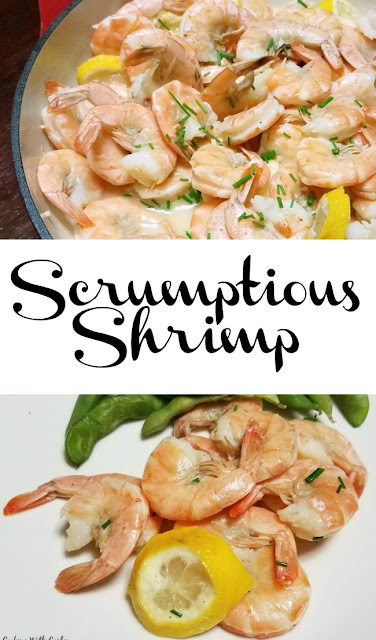 What are your favorite ways to make shrimp? And do you ever cook over a wood fire? In a large cast iron skillet (I used a 12 inch), combine wine, butter, lemon juice and roughly chopped garlic. Add shrimp and some salt and pepper. Stir occasionally so each shrimp has a chance to cook. The shrimp will only take a few minutes to cook. Once the shrimp have all turned pink, remove from heat. Sprinkle with chives and adjust salt and pepper to taste. Reading your post made me laugh :) I felt like I was reading about my own husband! He's Matt too and goes crazy over the grill and a steak!! He loves shrimp too so I know he'd be happy with this. Thanks for the great recipe and idea! That is too funny! Those Matt's are a fun bunch! Thanks for stopping by. Great post and once again awesome food, I love prawns, Thank you for sharing on #wednesdayswisdom , have a great week. We love them too! Thanks as always! 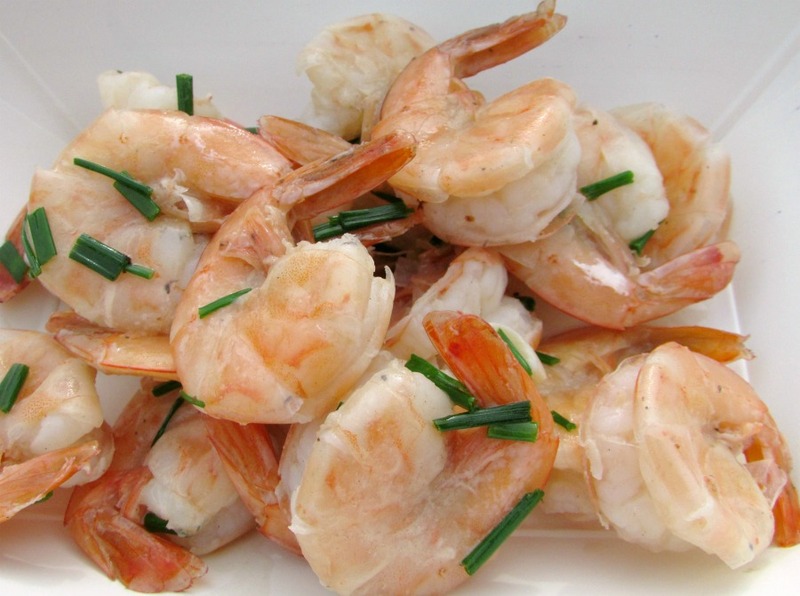 We love our seafood in Australia but we call shrimps prawns. 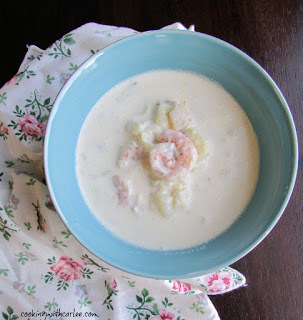 Thank you for linking up and sharing the recipe at #WednesdaysWisdom. See you next week! 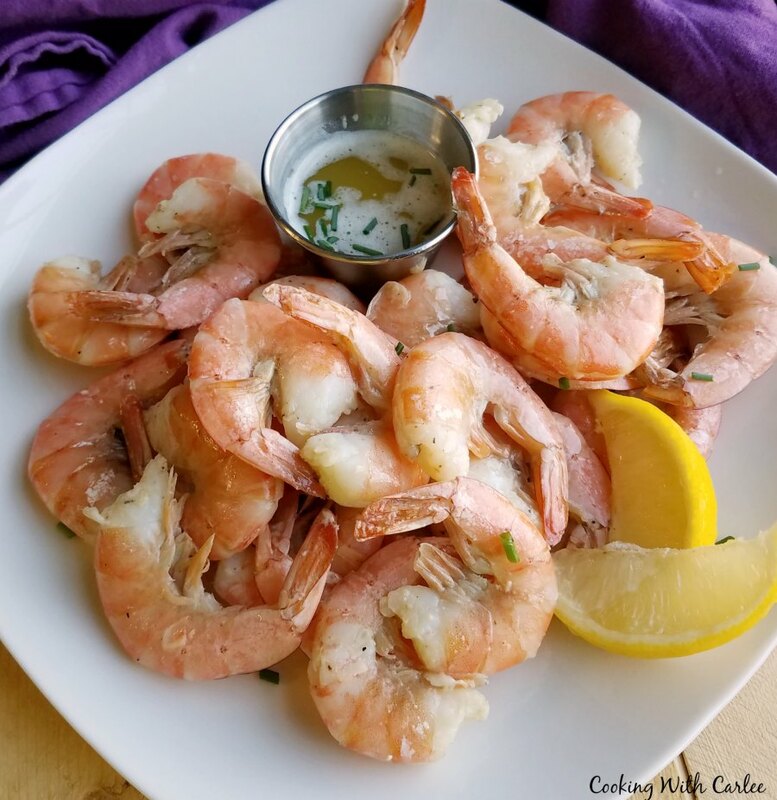 Shrimp is sort of a silly sounding name really, but it certainly doesn't stop us from eating them! Thanks and see you next week! Mmmm. Looks awesome. You were very popular at our last blog hop! Congrats -- this post is being featured this week on Wonderful Wednesday Blog Hop on Ducks 'n a Row! Double yum! Can't resist shrimp:-) Thanks for sharing with us at Funtastic Friday. Thanks for stopping by! We love shrimp too. I hope you had a great weekend! Thank you! See you tonight! My husband would devour this! Thank you so much for linking up at Tasty Tuesday! This post has been pinned on the Tasty Tuesday Pinterest board! I love having you and can't wait to see you next week! My husband definitely gobbled it up! Thank you so much for hosting! We would really enjoy your shrimp dish. Thank you so much for sharing with Full Plate Thursday and have a great day! There certainly weren't any left! Thanks for hosting, have a great holiday weekend! This shrimp looks and sounds so good Carlee! I can not wait to try the recipe! !